For many children with autism, trying new and different foods can be quite a feat. There are aversions, sensory issues, control issues, fear of the unknown, and a great need for sameness. All of these issues can really inhibit a child's ability to try new foods, have a varied diet, and keep healthy foods in their repertoire. 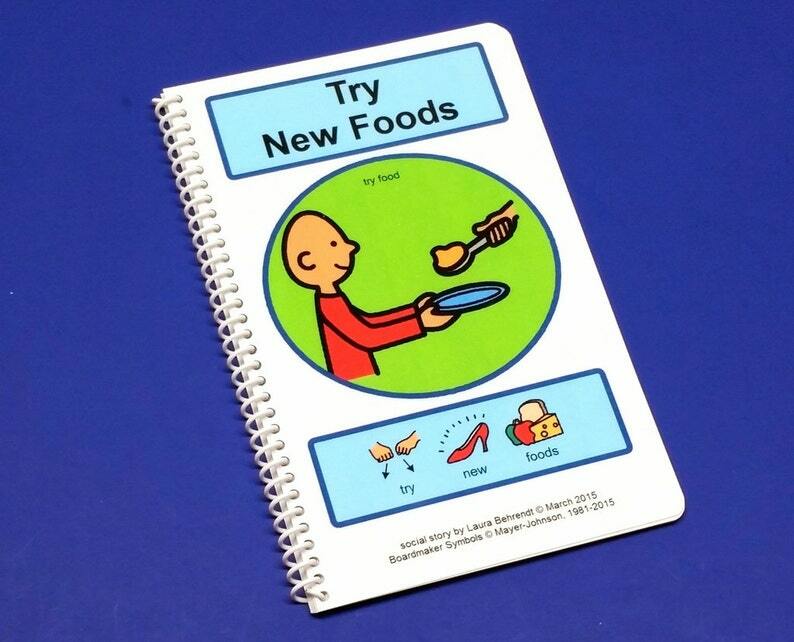 This book can help your child understand that they may be nervous to try new foods, but they need these foods to be healthy. Food that smells good usually tastes good too. Taking a little taste is okay. And trying new foods gets easier with time. Social stories can help many children overcome many obstacles and many parents find them not only helpful, but necessary.